This entry was posted in Great Granny's album, Photos, Sepia Saturday and tagged Great Granny's Album, old photos. Bookmark the permalink. 4 Responses to Up a tree K.I.S.S.I.N.G. A great photo………and lots of fun! 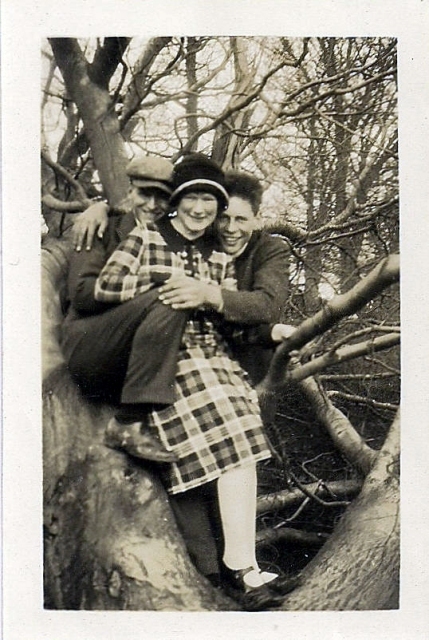 A wonderful photo, how lucky Granny was to have fun friends like that and how lucky you are to have that photo. Love it! A fun photo, Jo, and I look forward to seeing more from your collection . I’m in. I don’t delete blog feeds from my RSS in case they are resureccted.